Since the time skip was initiated, all members can feel free to post here with what their characters went through over the last 25 years. You can be as detailed as you like but please keep it in an OOC way. 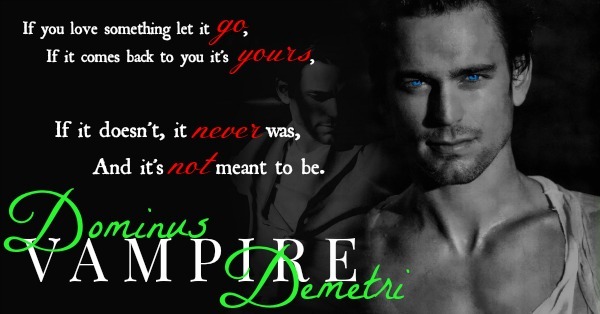 If you have any questions, PM Dominus Demetri. - Lucian and Eden had Calvin, and shortly after they got married. 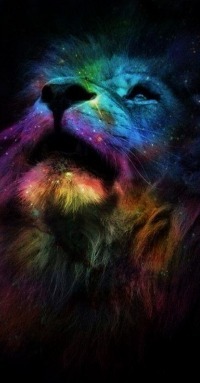 - Calvin spent much of the first 5 years of his life in the Shifter lands. - Once he shifted for the first time, he was taken over to Werewolf lands. He was able to see his mother often, but training was first priority. Lucian worked with Calvin day and night, teaching him the basics of life as a Werewolf. - As Calvin grew, Lucian made more trips to see Eden, but things were changing. Their time away from one another was causing fights, issues, and arguments left and right. - 20 years of being together, Eden finally revealed a dream of hers to Lucian. She wanted to be a man. As much as Lucian loved her, he could not stand by her for this change. - Lucian broke the alliance between the two races. But held a close relationship to Calvin. More than ever the two males needed one another. - When Calvin and the Hybrids wiped out the humans, Lucian made an unbreakable bond with his son and his pack. Hybrids and Werewolves would be allies, even if it meant Vampire Hybrids would be there. - Lucian is now seen as disgruntled and angered most days. There are a select few he trusts beyond compare. The adjustment from having a family to only having a son, has been rough on the Alpha. He drinks heavily and often finds himself breaking random things around him. 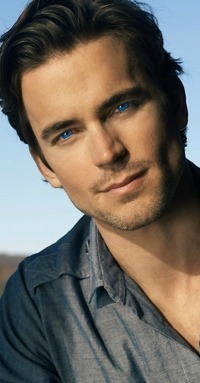 - He plans to never allow an alliance between Werewolves and Shifters again. He doesn't hate them, but he feels almost betrayed by Eden or whatever name she goes by as a male. Born 24 February 2871 - to Alpha Lucian and Regina Eden. For the first 5 years of his life, he was attached to Eden at the hip. His father gave him a gift of a tiger cub as a new born. His name is Hobbes, and the two boys are inseparable. Calvin loved to be with his mother, adoring her for how perfect she was. She loved him very much and he loved her as well, perhaps more than his father. Lucian was very strict with him. On the first night he shifted, he was shipped off to Lucian's lands. Immediately upon getting there, he was forced to train. Hobbes was even forced to train alongside him. Training was grueling and intense. It forced Calvin to his limits and even past them. Lucian wanted to make sure that his son was the best he was ever going to be. The young male had great potential being the first to be a Hybrid. He had to set the path for all the other Hybrids who would appear in their lands. As he grew older, Calvin started to work out, growing his muscles and increasing his testosterone. At the age of 20 years old, his whole life changed before his eyes. His mother decided to be a man, to change everything Calvin and Lucian knew about her. At first, he was shocked and hated Eden for breaking up their family, never really knowing that things between his parents were shaky at best. And for many years, Calvin blamed himself for the divorce of his parents and the drastic change Eden wanted for herself. For the first year or two, Calvin did not see Eden or whatever he was called. He lost all ties to the Shifters, and didn't really wish for them back. But after those years, he started to try and be understanding of his mother's wishes. Having two dads was strange for him, and when he looked at Edaelion he never saw a man, but a beautiful female from his memories. Though, he was never comfortable calling her "dad", he calls him "Ed". Now he holds nothing against the Shifters and hopes that the alliance he had made with them stands strong. He feels it's unfair for his father to break the ties with the Shifters, but it's not his place to fight the issue. Calvin now focuses on his training, making himself better and the best leader he can be. In the last couple of years, he has wiped out the human population and taken control of their lands. • Blake finished renovating the house, furnishing it beautifully and awaited her first patient. • She created beautiful gardens for both the front and back of the house, filling them with trees and blossoms for each season, allowing a burst of beauty all year round. • Clinically - although grinning on the inside - she was proud to help deliver the child of Eden and Lucian, presenting them young baby Calvin on the day of his birth. • She continued to work at the Pathos Hospital, her superior senses helping her to save lives as she had once before. • Slowly, she began to recover from the heartbreak of her ended relationship with Wesley, though she hasn't dated since. • Her life fell into a comfortable routine with which she could work. With no interesting events, she felt no need to consult her journal. • She's managed to go all this time without shifting in front of any others (currently the only ones aware of her primal form are Edaelion - forcefully, and Kenai - Accidental). • Although her life had become simple and predictable, it reminded her far too much of her old life running and hiding. She yearned for the excitement of friendship, love and adventure. - Sapphire has taken to the past 25 years as almost a hermit from others as she took to studying art and music. - She has stayed with her dream of catching the bad guys and putting them behind bars. 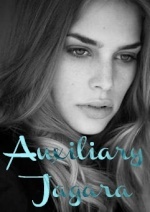 - She has yet to find love, although her chances of it were fairly close when she met Finnlay. - She had learned that a King had been appointed, but sadly she missed the coronation due to the fact she had been away all day for the start of her art classes in which she would learn to better her sketches and paintings. - Scott has aged now, fully learning what it means to be apart of a pack, even though he avoided most of them as he found out what he truly wanted. - He has kept a steady job, surprising... really, and is well know in a few areas, but not all, for his fine taste in making wine. - Scott soon found out about the hybrids when Calvin was born as the first hybrid. - He then realized he would need to speak with Alpha Lucian, but has yet to get the courage to do so. - He then found out that his beautiful Regina had turned herself into a man, which he didn't mind so much as he was bi-sexual. - He still wanted to meet the Regina, now Rex, but still has yet to meet him due to the fact he, himself, has been fairly busy. - Valentine has spent the past 25 years in search of two things, love and more details. - He has finally finished the complete story of Alpha Lucian and moved on to write a compelling sequel about the battle with the humans. - As humans faded from existence, he became aware of the child known as Calvin, but he knew not that the young boy that grew on and on, was a hybrid of sorts. - He has worked at the library for 25 years and learned by doing so that his mother was still alive but refused to come visit him. - He writes detailed letters about events to his mother in hopes to one day lure her into meeting the great Alpha, the first of all werewolves. After displaying signs of affection towards one another, Charli and Demetri fell in love once again. The Dominus made the vampiress his third wife and the two cherished their loving relationship together throughout the years. They became closer than ever as Charli became pregnant and eventually gave birth to a beautiful daughter, Eva Amber Marincea. Charli relished motherhood, loving her daughter with all her heart and raising her with Demetri. She is currently happier than ever, guiding Eva as well as being a loving and supportive wife to Demetri. Jekaterina had kept to herself for the majority of the years as she suffered from severe paranoia and anxiety, making no new friends or acquaintances over the years. Without a home of her own or friends, companions, vehicles, (etc.) Jekaterina has become a little strange in the head. She doesn't think much about what she says before it happens, and is rather insensitive due to lack of communication with others. She still lives in the Domina's Abode after 25 years, jobless over this amount of time as well. Two and a half years ago Jekaterina started seeing a therapist. Her therapy has come a long way, to conquer her anxiety and paranoia her therapist suggested that she take defensive art classes and take up running. That way, if something were to happen she could be prepared. It was the only way her therapist could get her out in the world again. These are two new passions of Jekaterina's and a key component of her recovery. She is currently still seeing this therapist regularly and beginning to go out in public once again.